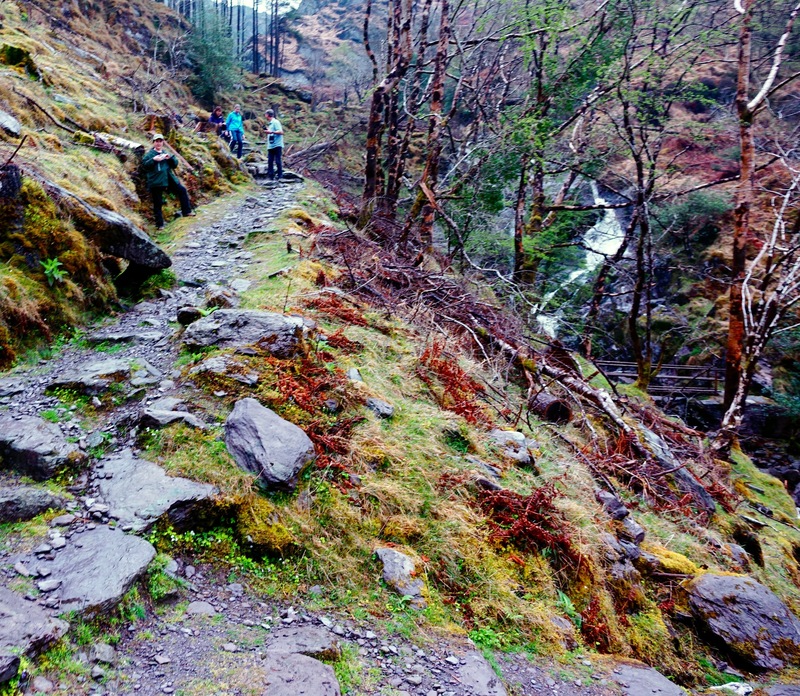 Gougane Barra, Ireland –“It’s all about getting into the landscape,’’ driver/guide Deidre “Dee’’ Harman advises as she wheels a 14-pasenger Mercedes Benz minivan through southwestern Ireland. I know those rural landscapes switch from low but tough-looking mountains to dreamy rolling hills and meadows that poured from the melted greens in the crayon box. With wit she offers her passengers narratives on Irish history, food and culture (“Enya has a castle in Dublin, livin’ off her royalties from dentists and relaxation parlors’’). The palaver masks the fact Dee is a three-year veteran of Ireland’s volunteer military, but her five years as a driver for the Irish firm Vagabond Tours Ltd. is obvious as she wheels what she’s dubbed the “Vagatron’’ around Dublin’s streets and those narrow country lanes. Indeed, she steers us up “Ireland’s bendiest (cq) road’’ to Healey Pass, 1,100 feet above sea level. There she stops and gently orders us out to walk down the now straight pavement. “I’ll meet you partway down,’’ she calls, and passes us. This sad example is part of the afternoon’s history lesson; the next part is found back down this hill and up another, about a half-mile away. Dee leads us to the Uragh (cq) Stone Circle – a half-dozen boulders that were placed in a rough circle millennia ago. The exact purpose is still unknown. / A brief boat ride to Skellig Michael, a mountainous island boasting an ancient, abandoned monastery, reached by a 620-step climb lacking handrails. It is a UNESCO World Heritage Site, but in the most-recent Star Wars film, it is at the top of this island where our heroes find Luke Skywalker. Alas, it is about 10 days too soon for Skellig to be open to visitors. But Dee knows of the Skellig Experience visitors’ center, with a fine video –plus a scary safety video that details that climb to the top. / The breathtaking Ladies View down toward into lakes of Killarney National Park, 26,000 acres of loveliness. The view is reminiscent of the stop on the main entrance into Yosemite. Before reaching the park we had stopped to buy picnic lunches; when Dee realizes there are no picnic tables in the park and that the ground is damp, she takes us back up to Ladies View, where we sit on a low stone wall and eat while admiring the panorama. / The famine cottage and nearby stone circle — two pieces of history with no explanatory tablets or brochures to instruct visitors. / MacCarthy’s pub, in waterfront Castletownbere (cq) featured on the cover of English writer Pete McCarthy’s hilarious McCarthy’s Bar; a picture of the pub is the book’s cover photo. His goal was to find all the pubs with a version of his name, while puzzling out Ireland’s social culture. / The perfect “local’’ but one loaded with history: the South Poe Inn, the pub founded in his hometown of Annascaul by Thomas Crean, No. 3 officer in Earnest Shackelton’s third Antarctic voyage. The walls are covered with historic photos of that heroic adventure. / Control over each day’s routine, such as where to go, where to eat, where to stop for no reason other than to admire the view and to let my thoughts wander, and where to spend the night. / The ability to enjoy the passing landscape, rather than gripping the steering wheel – and why do the Irish and the British drive on the wrong side? / Exchanging observations and anecdotes with a group of like-minded travelers. Would I book another escorted tour, in Ireland or elsewhere? It would depend on how much research I wanted to do on desired destinations and how well any tour would match my list. Yes, with a tour you take the chance of being forced to spend time with disagreeable people. On the other hand, you might make new friends and/or learn about their customs and daily routines in far-away places. Tasmania, anyone?